What can we say about Michael Scott that hasn't already been said? Most anyone who has enjoyed The Office likely has a healthy love/hate relationship with the often quirky Regional Manager. But anyone who knows the intricacies of sales management might recognize the method to Michael's madness. Mr. Scott shows time and time again that being in sales isn't about intelligence or practicality as much as it is about intuition. Some of the worst salespeople in the office are Pam (member of the Finer Things Club), Ryan (MBA) and Andy (I think he went to Cornell) are the most educated. Michael Scott, ironically, leads his people by example. However unorthodox his sales and sales management may appear to his staff, there's a reason he was crowned "Dunder-Mifflin's salesman of the year" – twice. This list is geared towards sales managers leading a sales team, but if you're part of that team, there's plenty of information (and humor) for you. This list was published by Performio, a software that helps streamline your sales commissions. Not what you'd expect to start things off from a Michael Scott list. His team saw him doing these things and, despite the quirkiness of Michael’s actions, everyone saw that he achieved his desired goal. He led by example and encouraged his staff to achieve the same results. Be humanistic in your approach, and let your staff see this. Lead by example and help your sales staff grow and reach their full potential. Remember that you’re all in this together, so your staff’s quotas are your quotas. Michael is the king of manufactured drama. Wasting your team’s time with useless meetings is a productivity killer, and that’s even before you get into the black hole of Movie Mondays. Michael needed to be the center of attention. Sometimes – okay, a lot of the time – that need inconvenienced the entire office. A good boss allows his sales staff to shine, rather than hogging the spotlight for himself. Here's one where we want to avoid Michael's example. Managing your sales staff is not always about having the right answer. It’s about trusting in your staff. When Michael left, he gave Andy his ten largest clients. He showed confidence in Andy despite Andy’s own lack of self-confidence. Andy: You know I’m the worst salesman here right? Michael: But you’re the best salesman on the inside. Phyllis: What does that even mean? Michael: You sold us all on Andy, a product that nobody wanted. Take the time to get to know your team. Recognize the strengths they have and build them up and coach them in their areas of weakness. Every manager has two roads before them, each leading to opposite ends of the ideological spectrum: person-focused or data-driven. Too much of either can be a bad thing. At Beach Day, Michael’s main objective was to test his team to decide who would replace him after his triumphant promotion to corporate. Amazingly, he did intend to make a data-driven choice. How did he incorporate data into his decision? He set up a Survivor-style competition between Jim, Dwight, Stanley, and Andy. They picked teams and completed a series of challenges. The old spoon-on-the-egg blindfold race, the sumo competition and the world’s worst hot dog eating contest. So how did the leaderboard stand before the coal walk? Michael: …who’s ahead in points? Pam: I think they’re even. At various times you gave Jim ten points, Dwight a gold star and Stanley a thumbs-up. And I don’t really know how to compare those units. Michael: Check to see if there is a conversion chart in that notebook. Pam: I really doubt it, Michael. That’s Michael’s idea of a data-driven decision. As a manager, it’s critical to balance these two poles and let them work together instead of against one another. Time and time again, Michael comes through for his employees. After Pam’s disappointing night at her art show, Michael showed up and absolutely gushed about her drawing of their office building. He came through with the right show of encouragement at exactly the right time, which meant everything to Pam. No one wants to work for a robot. Does that mean that as a manager you have to be everyone’s best friend? Of course not. But don’t forget that your employees are people, too. Take the time to develop meaningful relationships with them, and you’ll find that your staff is happier and more productive. 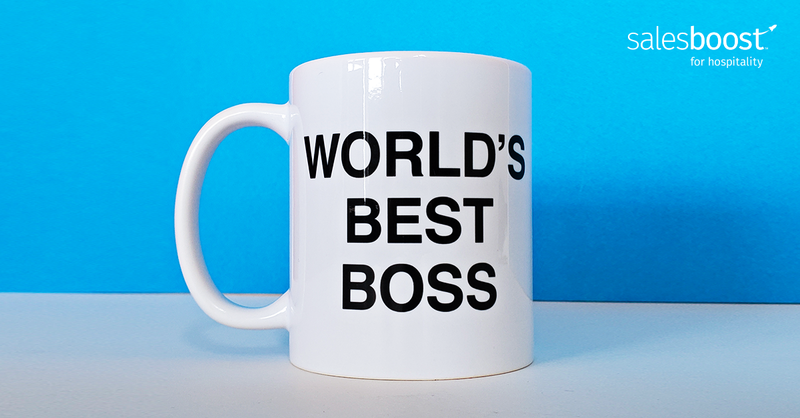 If you lead by example, make decisions with the best information available, and invest in your people, you're on your way to getting your own "World's Best Boss" mug. Want to learn more about SalesBoost? 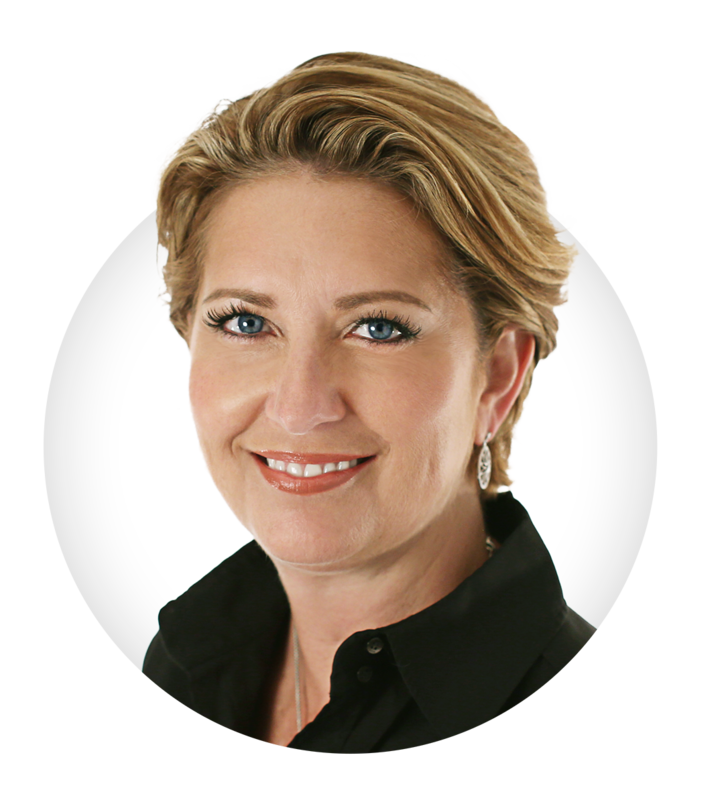 Gretta Brooks, CEO & FounderGretta is a proven leader in the hospitality sales industry with 30+ years experience running three global sales organizations, leading award-winning hotel sales teams and earning numerous sales and service awards. She developed SalesBoost after years of searching for the most effective sales training for her sales teams and not finding it anywhere. She wanted training that would be interactive and fun, show immediate results, and give her team the ability to practice, practice, practice. With the idea in place, she brought together other experts to help create a comprehensive package that uniquely trains individuals through the entire sales process.